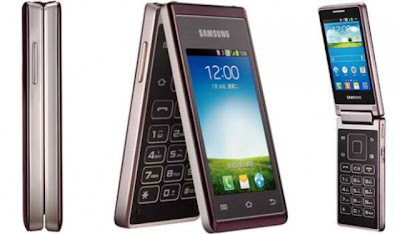 Samsung has official announced Samsung Hennessy, a dual screen phone that flips like clam smartphone. A new innovation from Samsung mobile, after all being famed for their explicit designs, making all available sizes and forms to keep close to the eyes of potential buyers. As for Samsung Hennessy, it is said that it will be running on Android Jelly Bean 4.1, and build with two (2) 3.3inch display, basically on its flip back and front. Samsung Hennessy will not only be unique from the rest, since the outer display will function more than a regular screen. It will be used for navigation and other keys, which we will know more after the release. Samsung Hennessy will also be powerful, combining 1.2Ghz Quad Core processor and probably a 1GB or more RAM. It is also been told that it will be equipped with 5MP back camera, Dual SIM capability, and 1500mAh battery capacity. Samsung mobile has yet to announce the release date and price of Samsung Hennessy. Just stay tune for more info in the future.